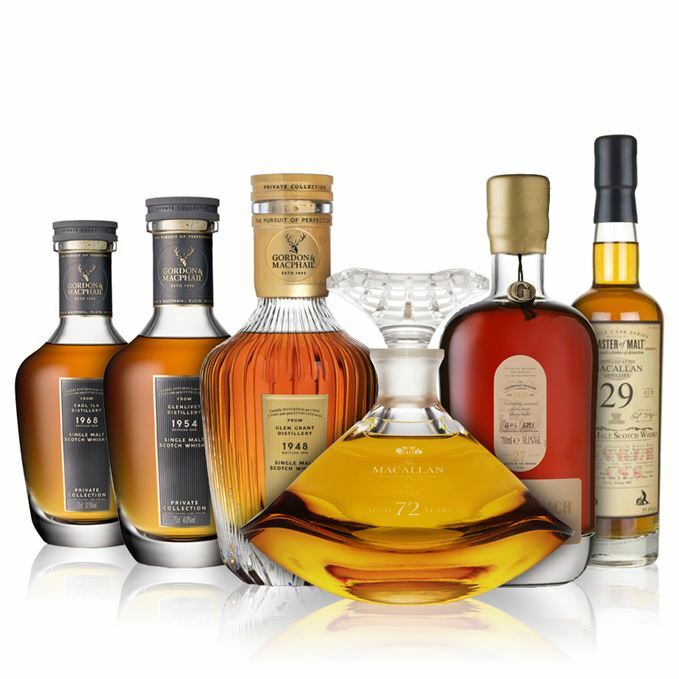 There’s 316 years of whisky on show this week (and approximately £86,500 worth of it, so you’d best get saving) and a rare – maybe a one-off – chance to try a selection of venerable drams. Though ranging from a relatively young 27-year-old to a mighty 72, each from very different distilleries and cask types, there is a shared quality: slowness. First up is a 50-year-old Caol Ila from Gordon & MacPhail (G&M) said to be the oldest bottled to date. Even after half a century, smoke is present alongside distinctive Caol Ila juniper. A must-try. The 10th expression in GlenDronach’s limited edition Grandeur range, the youngest in today’s line-up is also the most cask-forward, as the 27-year-old upstart is dominated by sweet, dark fruits. 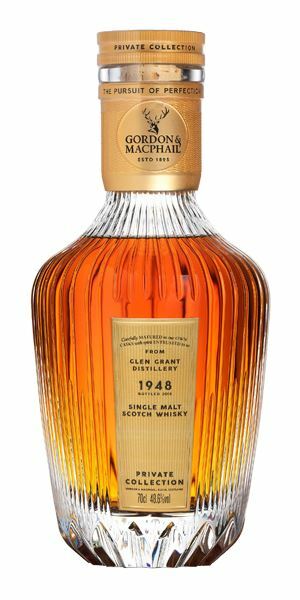 Back to G&M for a 70-year-old Glen Grant, another ‘oldest’ bottling. At this advanced age, it still packs a punch with an expansive, mouth-filling texture and glorious burst of waxy fruits on the finish. 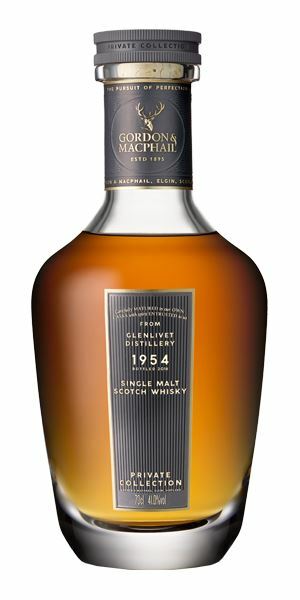 Another G&M, this time a Glenlivet distilled in 1954, is an oily dram in the era’s classic style, with bakery notes (‘woodsmoke, hot pastry, apple turnover’) and a sense of fragility. A whisper of water adds more, but tread carefully. 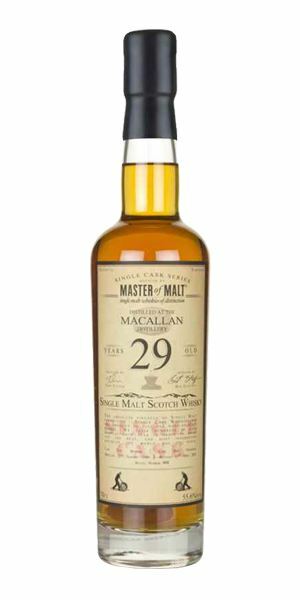 A 29-year-old Macallan from Master of Malt, distilled in 1989, offers a considerably more expressive palate when compared to its rather demure nose, so don’t be fooled. It’s soft and pillowy, adding a meatiness with another splash of water. 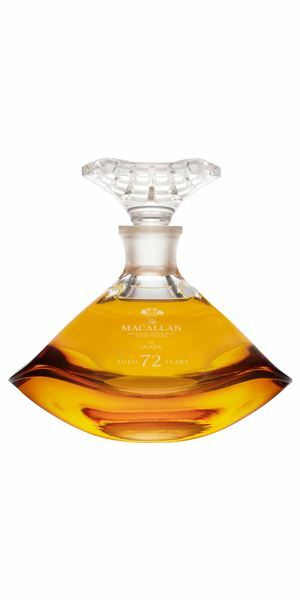 Last but not least is the 72-year-old Macallan, resplendent in its Lalique decanter. With a ‘well mannered restraint’ on the nose and an interplay between acidity and woody notes on the palate, the price and age is discussed in more detail this week in the From The Editors section – however, it doesn’t quite manage to knock the Caol Ila from today’s top spot. This week’s soundtrack is suitably slow and ambient, from languid electronica to delicate piano pieces. What’s amazing is that even after half a century, smoke is still present. It starts with hints of drying creels, fish oil and wax crayons, quickly followed by lightly meaty notes which bring to mind chorizo. It stealthily becomes more aromatic – sorrel and wild garlic, cut flowers, gorse, lemon(grass). It may sound heavy, but all of these are balanced and subtly layered. It murmurs rather than shouts. In time, there are more marine elements: kelp, dashi. It grows and becomes ever more complex in the glass. The initial sensation is of oil and saltiness, with added violet, brine, green cardamom, and the juniper note you sometimes get in Caol Ila. The mid-palate is all ginger and smoke, then some red fruit and hot-smoked salmon before it relaxes into a satisfying fattiness (goose fat). Smoked fish, fruit, great length. Sublimely elegant and subtle. A rare treat that’s a must try. It’s £7,500 for a decanter (of which there are 199). Falling under the spell of the Dark Eyed Sister who may be a selkie. Rich, sweet and layered, starting off with a mix of dubbin and dunnage warehouse along with fig jam and pomegranate molasses. In time, a balsamic/Sherry vinegar note comes in alongside a citric tang, then cider press, before sweet black fruits (cooked damson, black cherry) emerge, balancing nicely with that tangy bitterness. In time (and with water), more chocolate (biscuits) raspberry, vanilla, and fruitcake. The sweet, dark fruits (think bramble jelly and raisin) are in charge here. Then things take an earthier turn with some chestnut, liquorice and just sufficient chewy tannins to balance. Water further ripens the fruit – and stirs in some brighter red fruit elements before finally shifting to aromatic bitters. Sweet and concentrated. Sultana and treacle. Though the youngest (!) on show, this is the only cask-forward whisky, but ‘Dronach has the weight and grunt to cope with a mix of oloroso and PX. Mature and complex. There’s 2,293 bottles and it will set you back £485. Padding in bare feet on the Earth Floor. There’s a surprising (or not when you consider that coal was on ration) smoky start: coal sacks and woodsmoke which, while never disappearing totally, recedes sufficiently far to allow medlar, baked quince and Russet apple to take things into a lighter frame. In time, a heady floral element begins to develop – like a bluebell wood after rain. The rancio comes though relatively late on, adding a thick blurred quality before smoke rises once again and things start to dry. A droplet of water brings out perfumed waxiness, citrus peels, pot pourri, sunlight in an old country house hotel and soft fruits. Once again, it’s coal smoke which greets you. 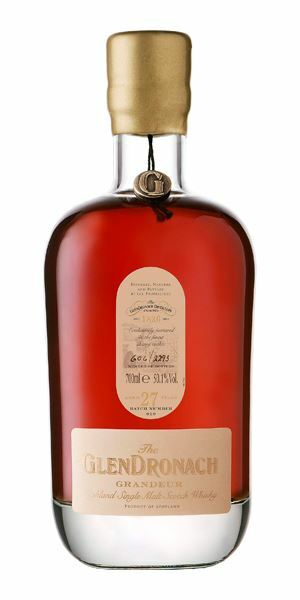 Expansive and mouth-filling, beautifully layered and with surprising power for its age. The fruits settle down, softening and reducing into their essential oils, and while it does eventually start to dry it’s not before a late burst of green vegetal freshness: wet bracken on a footpath. Water brings out more wood ash. Gentle and soft with a glorious burst of waxy fruits ending with mint. In some ways it’s only revealed fully in the throat. As with all of these, the flavours develop slowly. It’s like an old person gently telling you their life story. Remarkable. There’s 210 decanters at £17,500 each. Contemplating The Beauty of Decay. Here we have a much oilier style of Glenlivet which is typical of the era and long-term maturation. There’s a powerful hit of tinned pineapple to start with, alongside a little touch of wood smoke, hot pastry, apple turnover and lipstick. Slowly, some cut flowers develop alongside the hazy smoke and steadily some fruity rancio comes through. With a scant drop of water you can pick out brioche, (tinned) mandarin, lime and rhubarb. It is delicate though – a sensation caught on the breeze. …but then it coheres for one last time, adding a touch of darker fruits, Demerara sugar, along with a whisper of smoke. Ca’ canny (as we say up North) and treat with respect. There’s 22 decanters costing £9.950. Quite discreet, with the light oiliness you’d expect from a) Macallan and b) a whisky at this age. There’s some light oak, some cassia spice and, in time, sunbaked earth and hay. Dried lemon peel then begins to lift off along with a whiff of lavender. Water is a good idea. Things then go slightly yeasty (sourdough starter) alongside some roasted cereal, soft fruit, then a hint of wax candles. Considerably more expressive with sweet fruits, custard creams (the queen of the biscuit world) then baked apple, light oak and, in the centre, a dry, cereal-accented bite before typical Macallan savouriness begins to develop. It’s soft and pillowy. A decent splash of water brings out crisp orchard fruits, citrus, poached pear, then miso and a slight meaty element. Spicy and peppery without water, gently sweet and fruity with. If the nose plays hard to get, the palate quickly makes up for it. Selling fast at a gnat’s whisker under £1,000. You keep returning for More. Initially, there’s pleasing, slightly funky Sherry cask notes along with some background wood smoke, bitter orange peel, lemon verbena and a mix of sandalwood, anise and a tiny savoury edge. There’s glimpses of tropical fruit flitting around, giving it a hedonistic touch – though it never quite loses its well-mannered restraint. The scented qualities increase in time alongside a more overt waxiness but there’s also a sense of a slight fragility – which is only to be expected. In time, the smoke comes through alongside dusty charred oak. …only to be woken by a late flaring of spices inside a sandalwood box. There’s about 1,000 words of thoughts on this over in the From The Editors pages if you care to dip in. The key here is long, slow maturation. A glimpse into a forgotten world. There’s 600 decanters drawn from the three casks used. Each is US$60,000. Batch 185 01/02/2019 Glenmorangie Allta, Arbikie rye, Kingsbarns’ first release plus two Cardrona hatchlings. Batch 183 18/01/2019 Pitting Master of Malt against Gordon & MacPhail as both bottlers take on Chivas distilleries.